Anger of Beast merupakan stick yang menggunakan stick Sanwa JLF, tombol biru Sanwa OBSF30, PCB Dual Strike. Anger of Beast is one of many custom sticks we built at Keoliz. 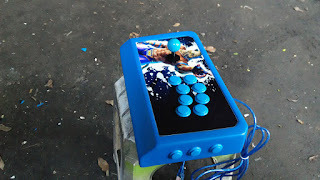 It uses a Sanwa JLF, blue Sanwa OBSF30 buttons, and a Dual Strike PCB. Ini merupakan pertama kali nya kami menggunakan PCB Dual Strike. Sebuah PCB yang dirakit di Indonesia & menggunakan teknologi PCB asal Jerman yang open source. Sebuah PCB yang bisa bekerja di PS3, PC, Xbox pertama. PCB ini menggunakan kabel printer(USB B - USB A male to male). It was the first time we used Dual Strike. A line of PCB that's assembled in Indonesia & uses an open source technology from Germany. It works for PS3, PC, the first Xbox. This board connects to consoles through a USB cable people here often refer as printer cables(USB B - USB A male to male cable). 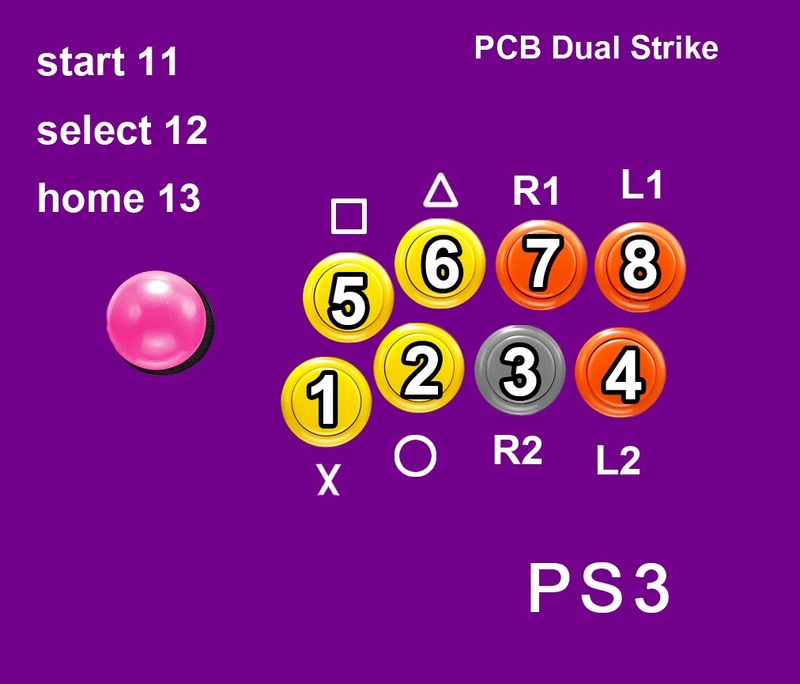 Menguji pcb ini merupakan tantangan tersendiri karena kita perlu mempelajari susunan tombol sambil mencoba PCB ini di PS3. 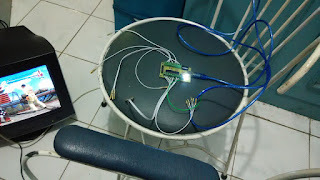 Saat itu kami hanya memiliki satu monitor LED. 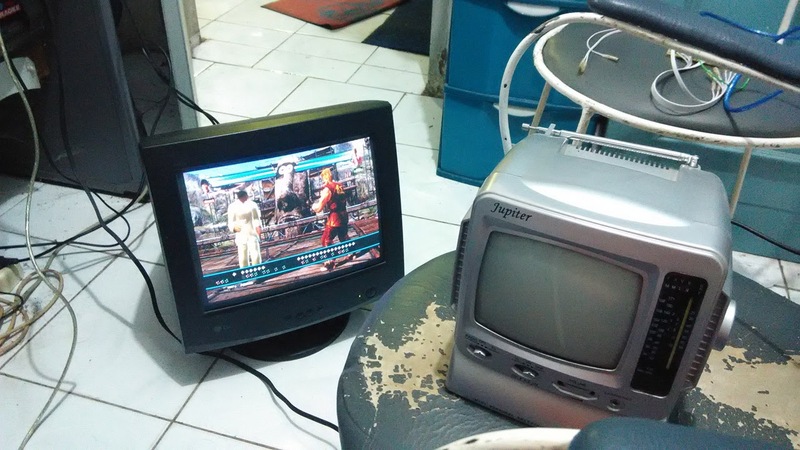 Kita butuh monitor untuk PS3 & satu lagi monitor untuk komputer. 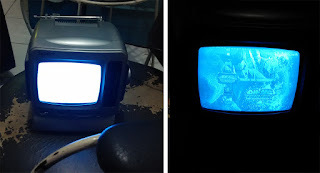 Kita memasang monitor lama & juga TV tua karena tidak tahu apa kah akan ada masalah konversi signal video ke monitor komputer tabung. Testing this board was a challenge on its own because we had to study the button layout or connections while trying it on a PS3. At that time we only had one LED monitor. We needed one monitor for the PS3 & another one for our PC, so we can directly take notes & save it on our computer. We brought in our old PC monitor, as well as a small 5 inch CRT in case there was a problem with the video signal conversion from HDMI to VGA. 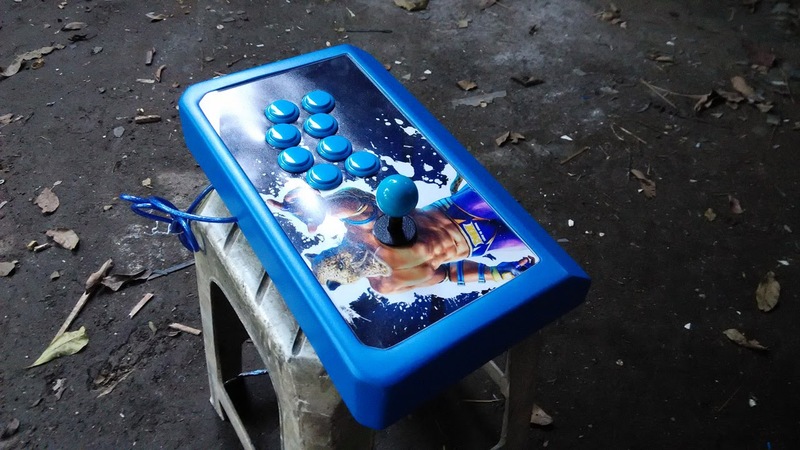 Setelah itu kami merakit stick ini seperti biasa kemudian kami menguji stick ini di PS4. 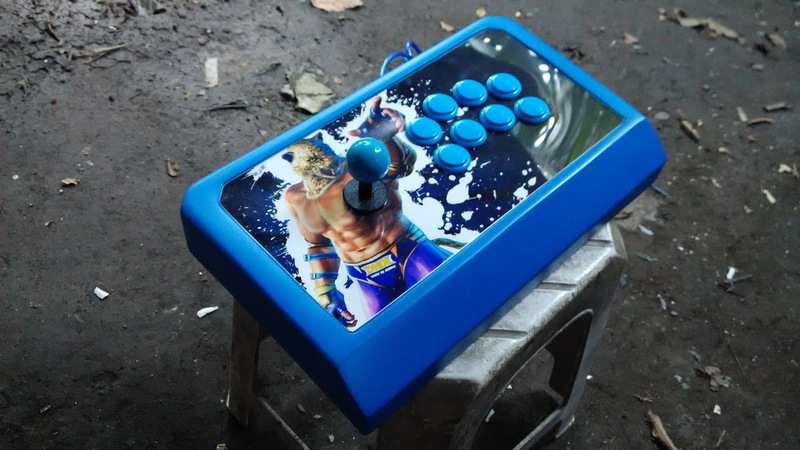 Di sini kami menemukan halangan baru karena stick tidak bekerja sama sekali ketika kami coba di Tekkken 7 di sebuah rental PS4 bernama Cat. 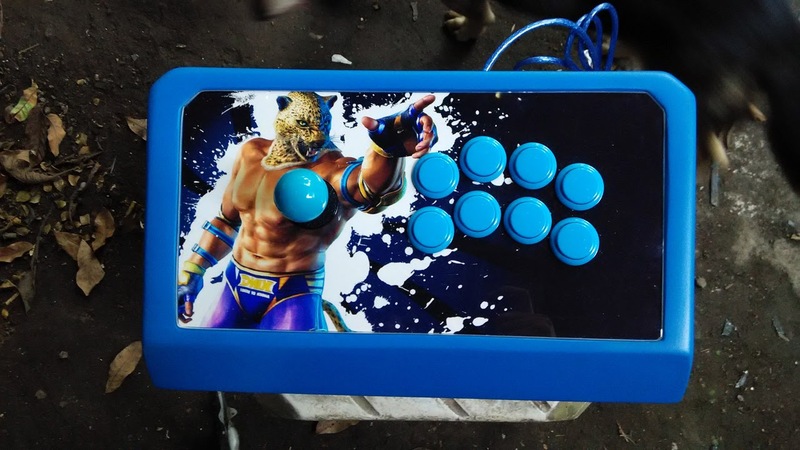 Kemudian kami coba di rental Eternal di game Street Fighter V, stick ini juga tidak bekerja. 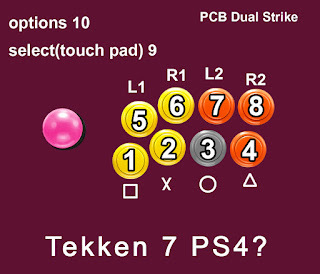 Ketika kami coba di Tekken 7 kali ini jalan tapi karena tombol start menggunakan fungsi tombol yang tidak kami aktifkan(tombol nomor 10), kami hanya bergerak di main menu & options. 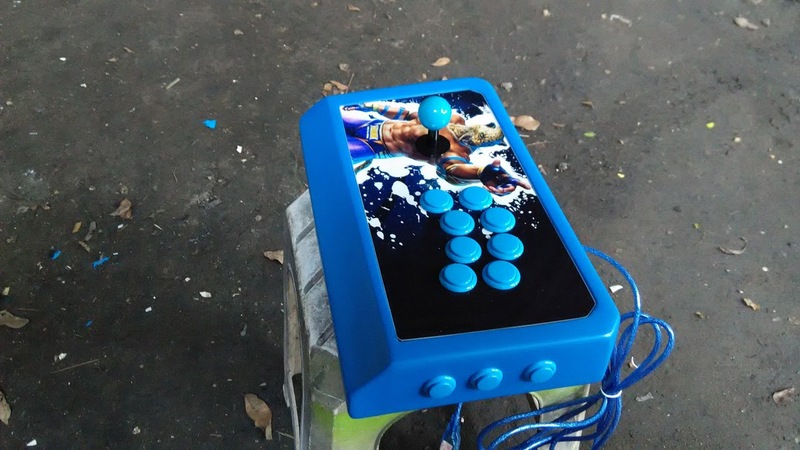 Aftewards we assembled the stick and then we tried on PS4. 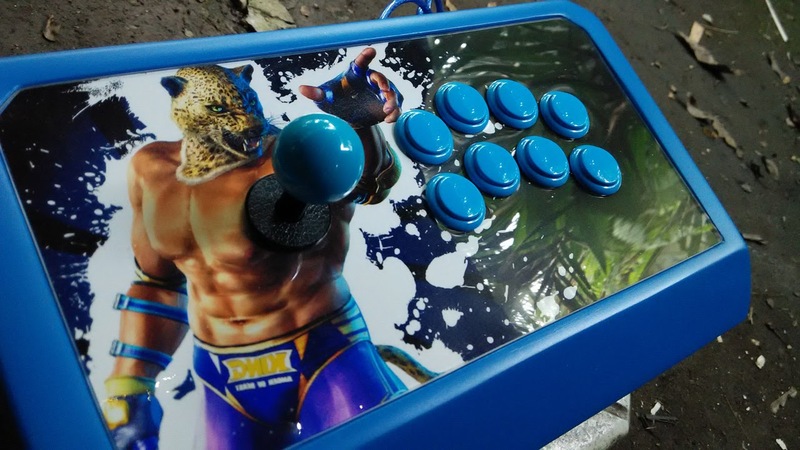 We found another hurdle as the stick couldn't work at all on Tekken 7 at this PS4 rental called CAT. We then proceeded to try the stick at another shop called Eternal. On Street Fighter V the stick was not detected. 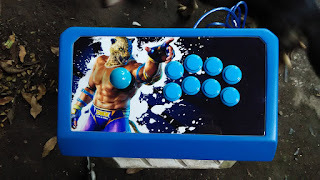 But this time when plugged it in while we were playing Tekken 7 the stick worked, all of the action buttons worked. We could move around the main menu & options, but we couldn't start playing because we had not activated the button #10, which theoretically would be used as the Options button. As soon as we returned to our workshop I was very curious to figure out why the stick didn't consistently work. 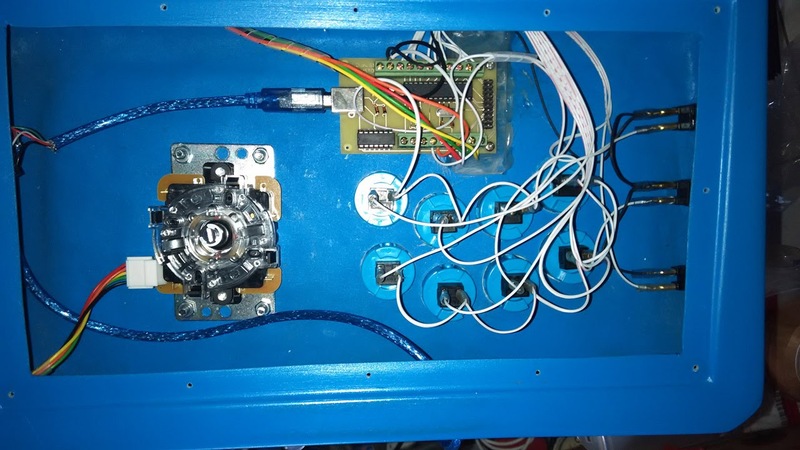 We then received news from the seller, Dual Strike PCB's have a manual boot up thing which people can activate by certain button presses while plugging in the usb cable to the console. Hold X to enter PS3 mode, hold O to enter PC mode, there are also two commands to enter old Xbox & Pass Through modes(which is useful for dual mod projects). Kemudian kami mencoba PCB ini di Raspberry Pi(dengan OS Retropie); menemukan fakta stick hanya dapat bekerja ketika kami boot up secara manual ke PC mode. Begitu juga saat kami mencoba stick ini di aplikasi kumpulan emulator game bernama RetroArch di smartphone Android; hanya dapat bekerja dalam PC mode. Teori kami adalah Dual Strike bisa bekerja di PS4, tapi kita harus boot up secara manual; di mode apa? We then tried the PCB on a Raspberry Pi 3(loaded with Retropie); then we learned it could only work when we booted up the stick in PC mode. A similar thing occured when we tried the stick on an android phone, on this app called Retroarch; an app that hosts multipe emulators in one app. 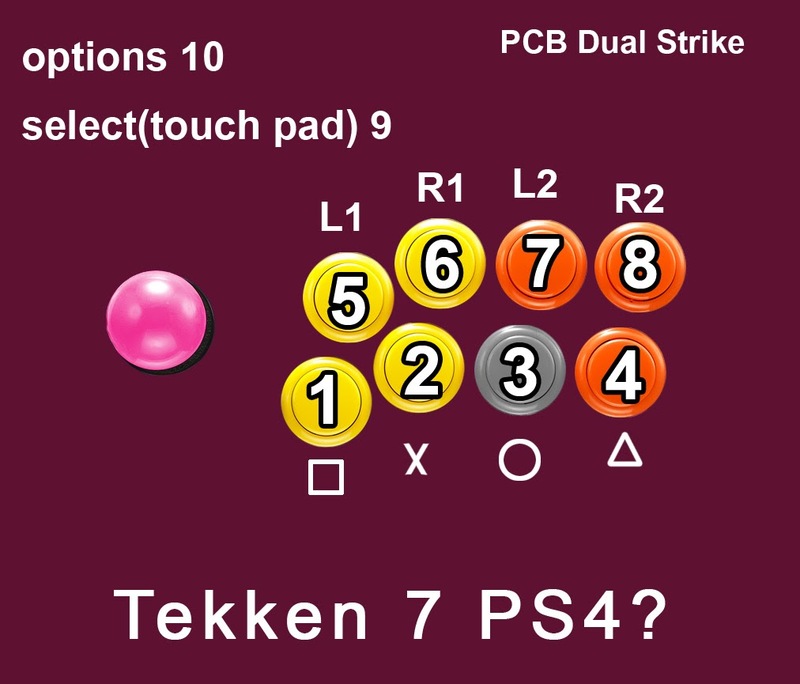 Hypothetically speaking the stick should work on PS4, but in which mode that's the question. Namun kami tidak sempat menguji stick ini lagi di PS4 karena kami tidak ingin menunda pengiriman stick. Namun kini kami telah membeli Dual Strike untuk kami sendiri. Tunggu kabar berikut nya saat kita kembali menguji Dual Strike di PS4. We didn't have another attempt on PS4 because we didn't want to delay the shipment of the stick. 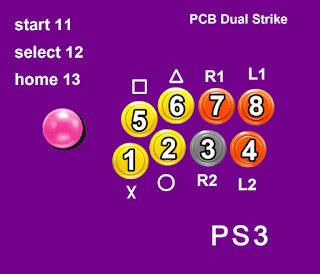 But we have purchased a Dual Strike PCB for ourself. Expect another update when we try the PCB on PS4 once again.